In the 1930s, virtually every major surrealist artist championed the modified found object as the ultimate modern art form. 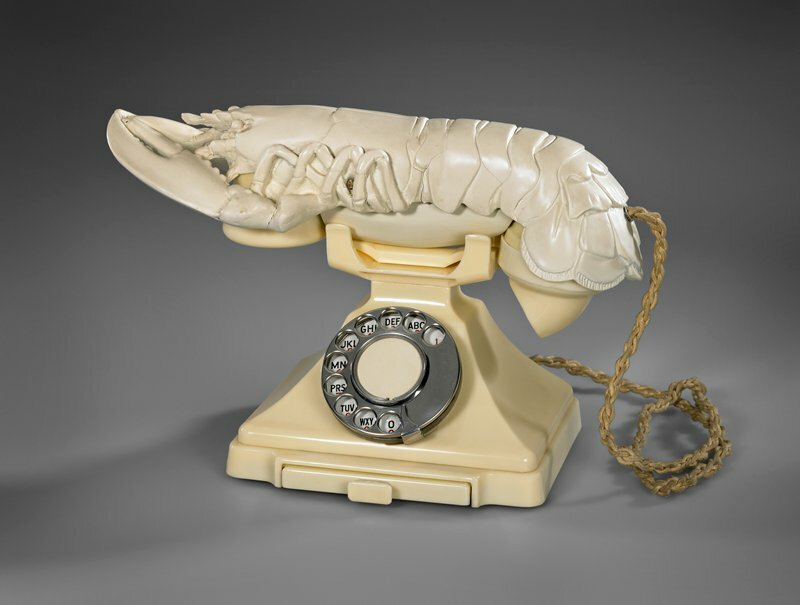 This lobster telephone is one of six all white versions that Dali made in association with the pioneering British interior designer Syrie Maugham (1879-1955) for the home of the surrealist collector Edward James. This classic Surrealist piece was among the most desirable 1930s original objects still obtainable when it was acquired with museum funds in 1996. Very few of these imaginatively transformed household items remain, although several have been issued as editions. Potentially functional, four versions with red lobsters have survived as well.